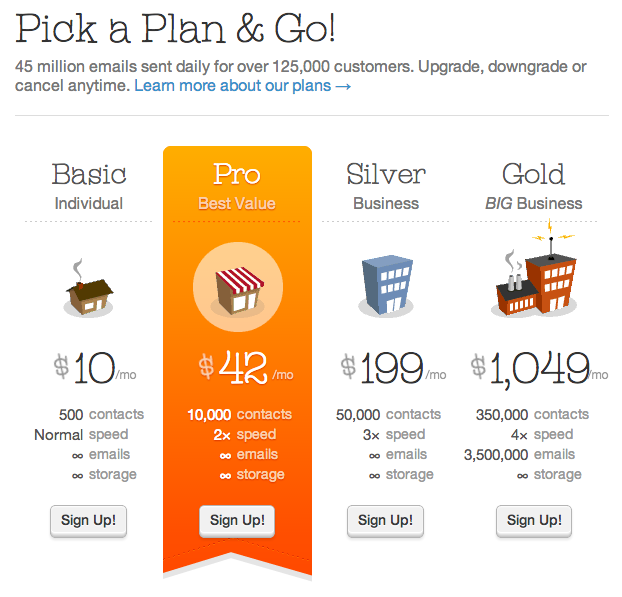 Oempro is the #1 solution to build your email marketing service. It provides all features you will need to build and run a successful local (or global) email marketing service for your clients. 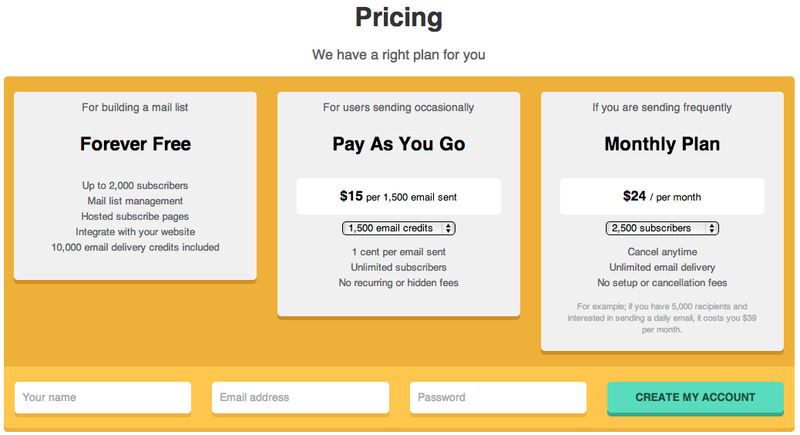 In this article, we will explain how to build a pricing page with multiple plans on your website which is linked to Oempro. 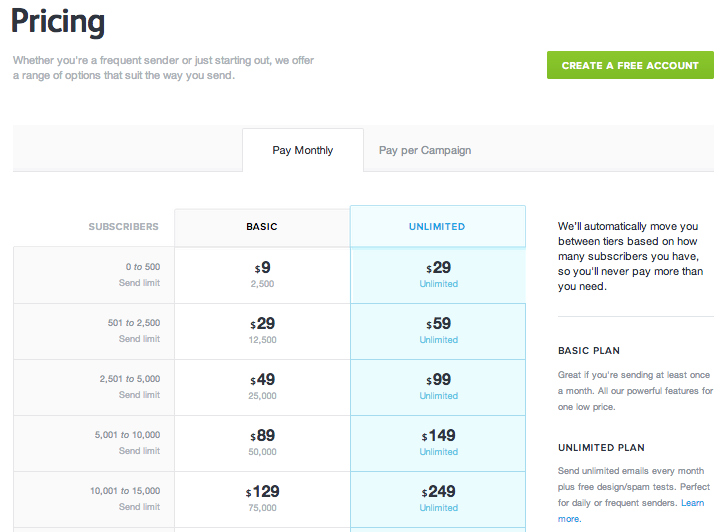 The common (and more popular) approach is to try getting users to your user onboarding funnel via trial or freemium plan. In these days, nobody wants to enter their credit card before trying the service. Therefore, we believe that asking for a credit card before allowing your potential customer try out your service is meaningless. 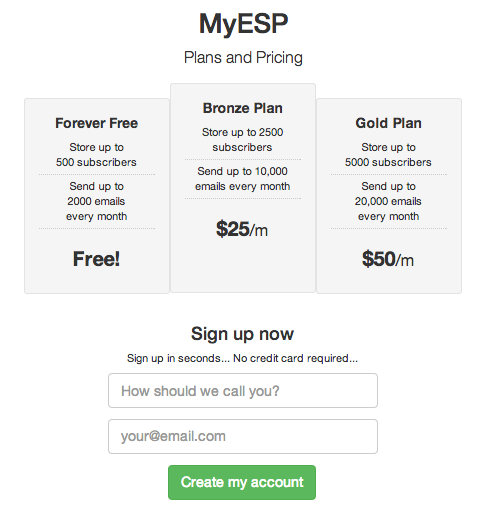 In this blog post, we will explain how to create a pricing and signup page listing multiple plans and asking users to signup for a trial/freemium plan. In this model, in addition to three monthly plans listed above, we will have 7 day trial plan which will be the default signup option. After the 7 days, user will be asked to upgrade her account and the account will be suspended if the upgrade doesn’t occur. We will use a basic HTML page designed for pricing. You can replace this with a page on your own website with your own layout. Okay, you have setup your Oempro for your monthly plans. 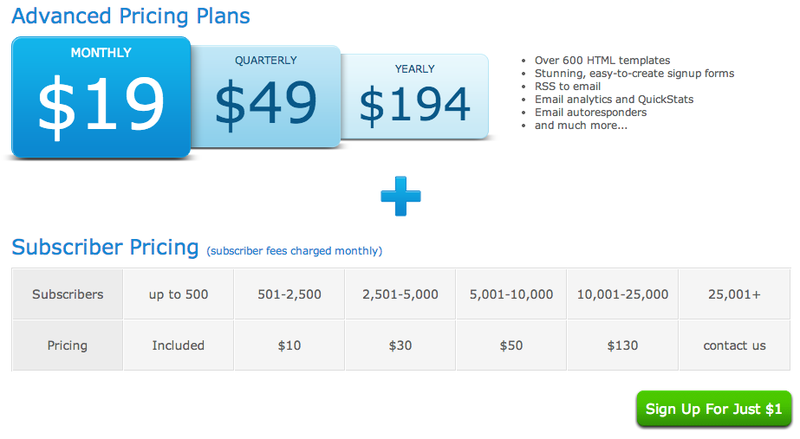 Now, it’s time to start building your plans and pricing page on your website. 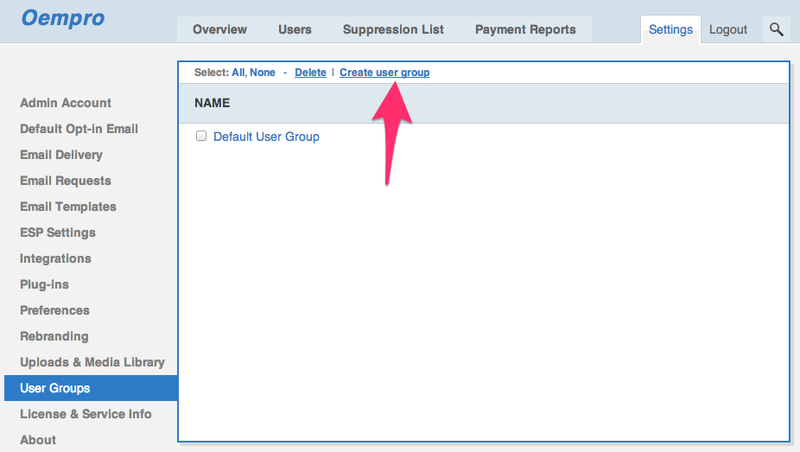 Login to your account, import your contacts and send your first email within minutes. // The option doesn't work with safe mode or when open_basedir is set. To copy the source code, simply double click above. To download it, click here. 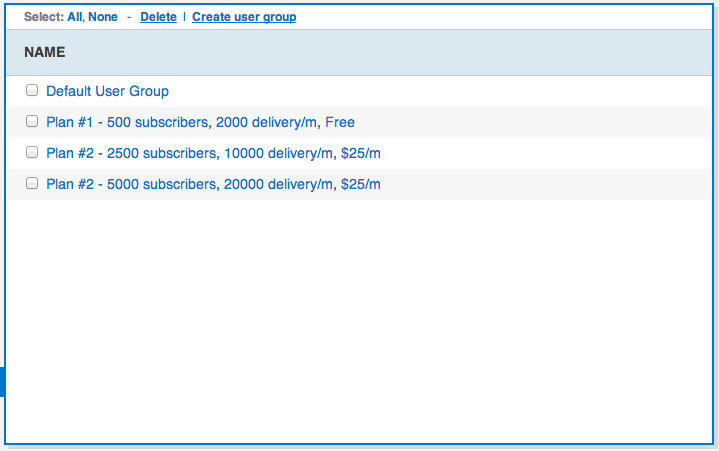 This is a basic demonstration of what you can do with Oempro’s API and how limitless you are. If you have any questions, just let us know in comments below. Does this still work in the new versions? We had it running smoothly, but it stopped working. Yes, it works. Check your code, maybe an error gets thrown during the process.